Many graduate students struggle with time management and dealing with competing priorities.Balancing graduate school, work, and social obligations is often difficult and can lead to burnout. Burnout is a feeling that you can’t, or don’t want to, work on assignments, study for exams, or even complete your graduate program. People experience burnout in different ways. You might feel mentally exhausted, apathetic, or overwhelmed and anxious. Burnout is often a consequence of prolonged stress. Prolonged stress puts your mental and physical health at-risk. Scarfed down convenience food because you didn’t have time to pack a lunch? Cancelled plans with friends because you had to cram for an exam? Avoided difficult tasks by “numbing” with social media, watching TV, or using substances? Effectively dealing with stress can be difficult. Sometimes we get so busy trying to meet school expectations and the other demands of life that we fall into a routine of using negative coping strategies. Negative coping strategies feel like the right thing to do in the moment. These strategies provide us with temporary relief from our stressors, they may even help us to accomplish our goals, but they do little to promote our health. One way to combat stress and burnout is to follow a plan for self-care. Self-care is a series of intentional actions that you engage in to proactively promote and maintain health. The most effective self-care plans include routines that capitalize on your values and interests and get established before you experience an overload of stress. Here are 8 self-care strategies that you can incorporate into your daily routine at the start of the semester. Manage your time. How many credits did you say you are taking this semester? Wow! That is a lot. You might need to have a few late nights to get all of your readings done and your assignments completed, but it is important to plan so that these nights are rare. 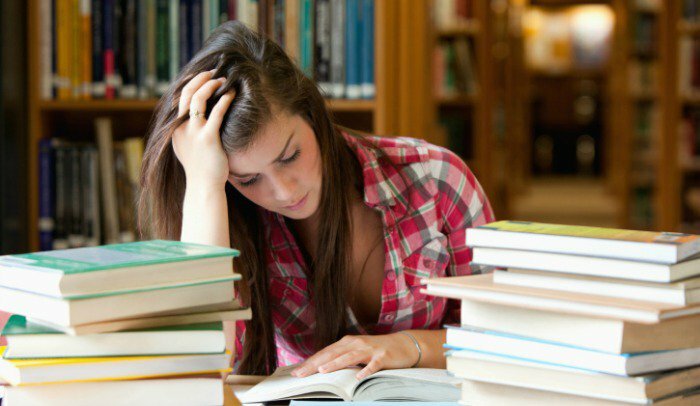 Graduate school is a marathon, not a sprint. You need to pace yourself. Think about when you study best. Make a plan to study at those times, even if you do not have an assignment that is due soon. If you are new to your graduate program, build in extra time to account for the unknown and don’t assume that you can follow the same schedule as you did in your undergraduate program. Build a network on campus. Your friends and family are probably excited that you are pursuing a graduate degree and want to support you. However, they may not understand what you are experiencing on a daily basis. Make time to connect with the other students in your program. They are going through the same things that you are. Form study groups, share resources, and get to know each other on a personal level. The students in your program, along with your faculty, provide the foundation for a professional network that will support you throughout your career. Keep moving. Physical activity reduces stress, supports immune system functions, and releases endorphins so you feel happier. You are going to be sitting in classes for long periods of time. Take advantage of your breaks to check out the campus recreation center, take a group exercise class, rent a campus bicycle, or go for a run. If your instructor gives you a chance to have a “walk and talk” to explore course content with a partner or a small group, take advantage of it. Schedule “walking meetings” when formulating ideas for group projects. Nourish your body. Your mind and your body need healthy fuel to carry you through graduate school. Eating well is one of the best forms of self-care. Plan to bring healthy snacks to munch on between classes and pack or purchase a healthy lunch. Drink plenty of water to stay hydrated. Nourish your spirit. Unplug. Turn off your social media notifications, log off email, and be present in the moment. Incorporate mindfulness strategies to recharge and unwind. Make time for your spiritual practices and get familiar with resources on campus that support your spirituality. Rest. Get plenty of sleep. You are going to be learning A LOT. Your brain needs adequate sleep in order to process information and store it effectively. Sometimes we think that staying up late will help us to get ahead, but often it has the opposite effect. Lack of sleep can lead to irritability, trouble with decision-making, and difficulty with problem solving. If you want to be available for learning, sleep and rest are essential. Play. What did you do for fun before you started graduate school? Did you have any hobbies or interests? Make time for those now. Play and leisure activities are restorative. We need to do these things to stay healthy and balanced. However, when we are feeling stressed, these are some of the first things to move off our plates. Go to the movie. Read the book. Try the recipe. Train for the race. Start the craft project. Make time for the activities that give you enjoyment. Be kind to yourself. Graduate school is challenging and this experience might be new to you. It is normal to make mistakes. Correct your errors if possible and find a way to forgive yourself so that you can move on. When you see yourself making progress, celebrate. Last tip: The stresses of graduate school are real and sometimes self-care strategies aren’t enough. If you are feeling more anxious, sad, angry, or depressed than usual, consider getting support from the counseling center on campus. You don’t’ have to go through this alone. A great article. I always love to remind people that we all have talents at my Personal Development Workshops. Even when people think they are not talented, they do indeed posses talent. It may be that talent is, as yet undiscovered, but it is still there. These tips are really useful, I have tried it myself when I was a student in the University of Sydney. Keep moving, from my perspective, is the best one, especially when you are writing an assignment. Thank you for the excellent article. Great information, your post is really awesome! Thanks for posting such a nice blog. Absolutely great post here. I love this article, Thanks for sharing. You’re right, Following a self-care plan can combat stress and burnout. Because no one is immune to burnouts and it is very important to take care your health.